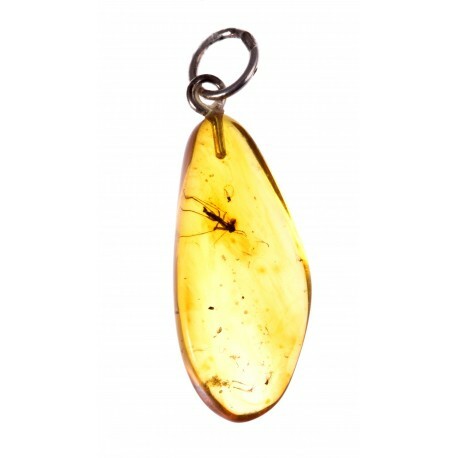 Yellow amber pendant with an exceptional inclusion. 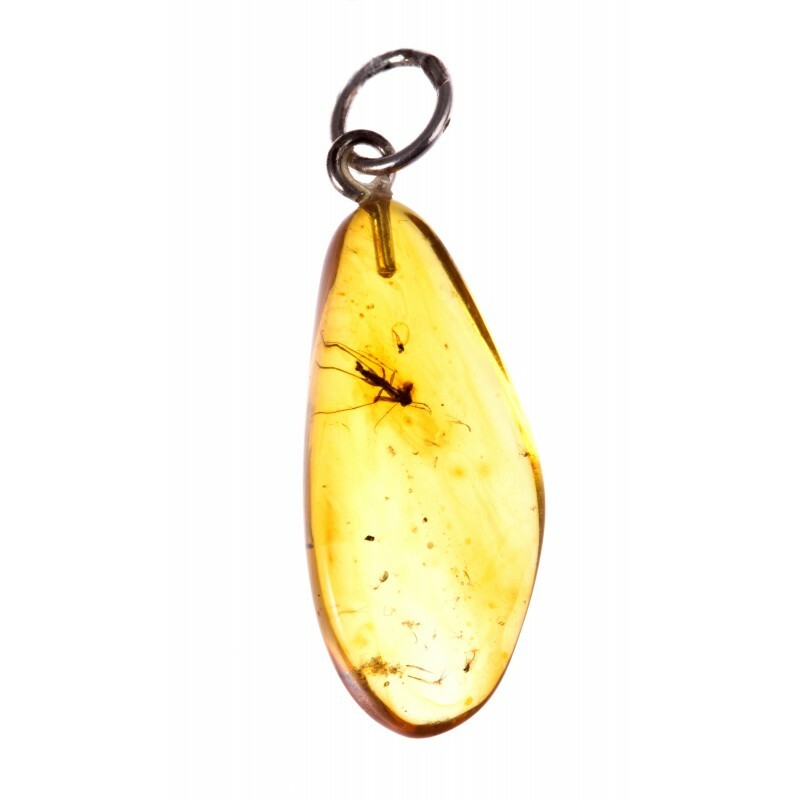 Wear this drop of a history, that is imprinted in this piece of amber. Dimensions Amber size : 2,3 x 1 x 0,4 cm.